The Longest Running Music Festival in Las Vegas. 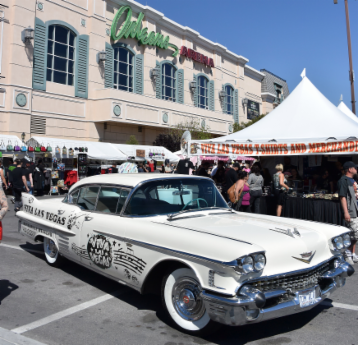 The Viva Las Vegas Rockabilly Weekend is now in its 22nd year and goes from strength to strength, attracting over 20,000 people. Events include over 85 live bands, 25 DJs, 6 music venues, Pre-63 Car show, Burlesque Shows, over 120 vendors, 24 hour bars, All Night dancing, Pool Party, Pin Ups, Tattoos and much much more. PLEASE TAKE A LOOK AT THE DOWNLOADABLE SCHEDULE ABOVE.